Join us at an exciting celebration to mark the momentous return of the The Open to our shores. 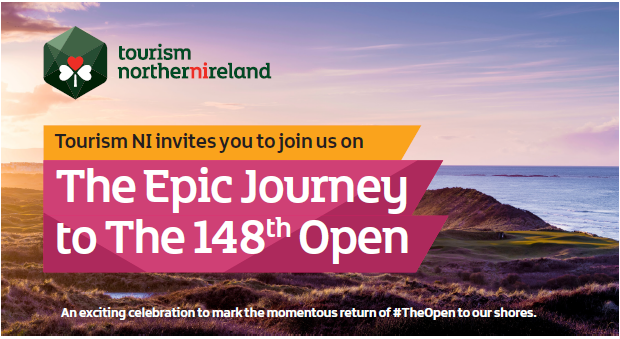 On Thursday 9 May from 11am -1pm, we will be teeing off at the Shambles Yard, Armagh to proudly show how Northern Ireland is truly Made for Golf and ready to warmly welcome the hundreds of thousands of visitors from all over the world to Northern Ireland for the 148th Open. Previous articleDon’t miss ‘Cars, Bikes and Coffee’ event for Down’s Syndrome Association NI!